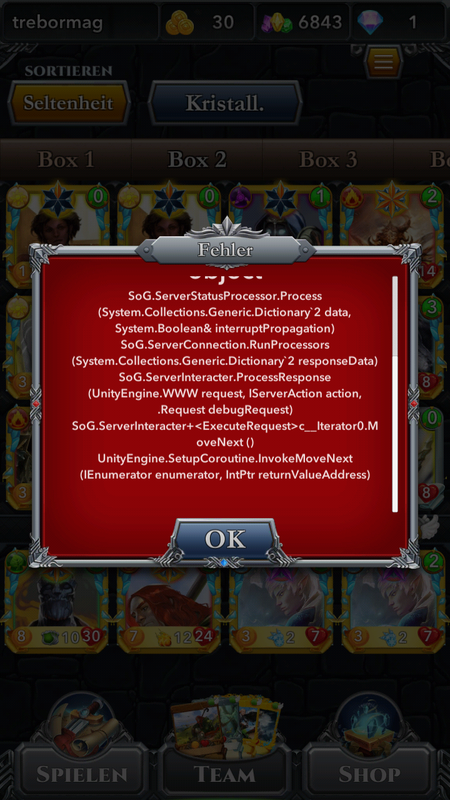 First of all, this error does not prevent games playing. Just a little annoying really. Nothing major. It looks like a alert and only triggers very first time when you trying to do this in the game after you logged in and try to swap cards positions. But once you click on on and this error sort of go away and you can keep playing as normal. 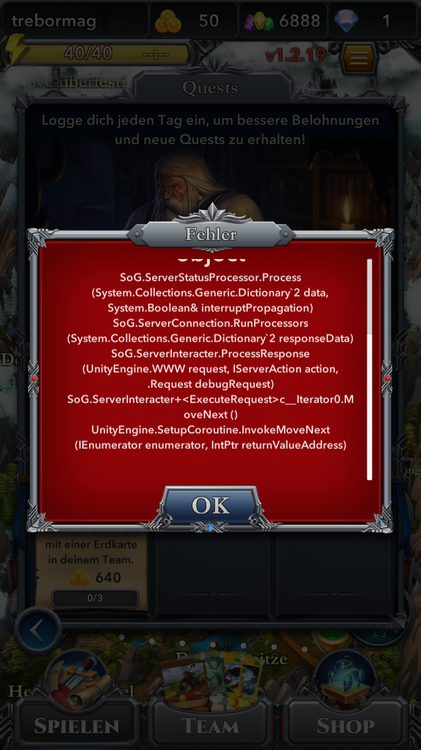 I found this only on game version 1.2.18 but not 1.2.17. To replicate this please try below. 1. Log into game and click on Team tab. 2. swap cards that are currently in the 4 main battle slots on your deck. 3. You can either swap those 4 cards position between them or bring new cards into the deck by select one of the 4 cards and then select one other cards in your card box. Then you should have below error. Many thanks for your helpful report. 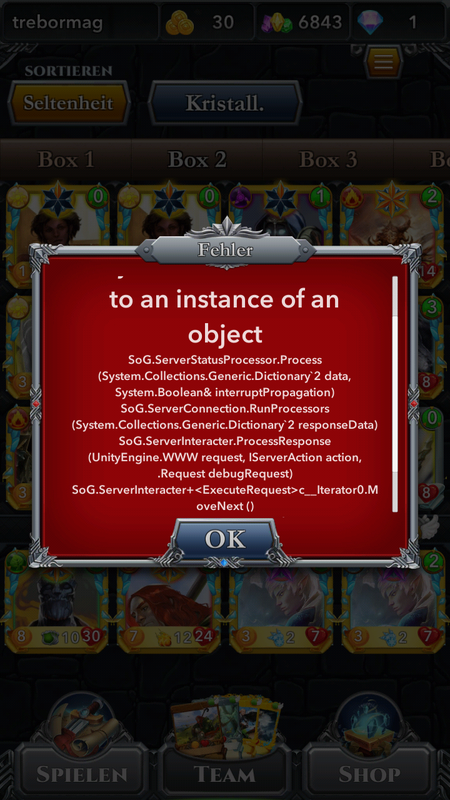 I reported this to the dev team. Could you please just tell me what device and version you are using? Many thanks again for your helpful reports. But I've noticed it only happens to the accounts that has wallet linked with. If account is reasonably new and has no BoO wallet linked with it then wont trigger the error. We are facing trouble to reproduce the issue, could you please let us know the exact walktrought to be able to reproduce it? It only happens sometimes on my phone with Android 6.0 and SoG v1.2.19 from play store. 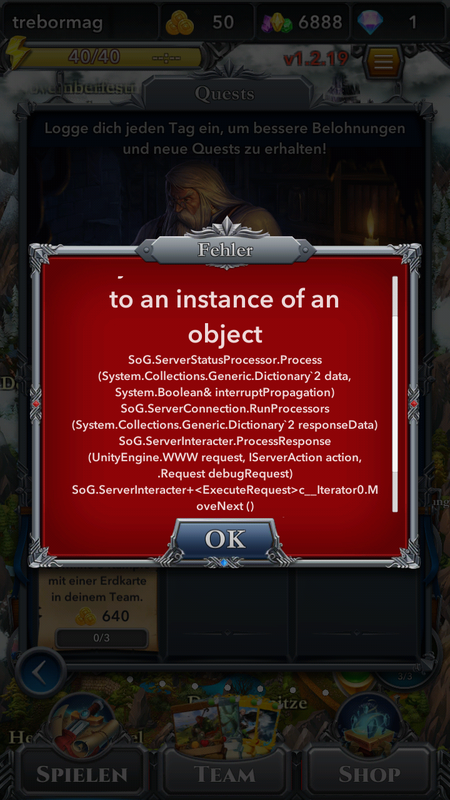 Sometimes directly after starting the game. Sometimes if switching to Team Page. Sometimes if i change a card in my deck. This month i am at a place with only poor mobile 3G internet connection and my phone is quite old 😞 . Maybe this triggers some timeouts/problems with server connection? I'll update you if it still happens if i get my new phone and good 4G connection next week. 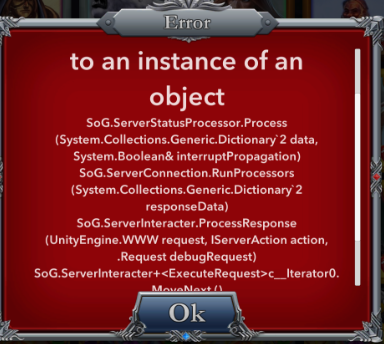 This error messages never happened at the web version. It could be related to a connectivity issue yes. But anyway, please do not hesitate to keep me update when you will do more tests. Many thanks again for all your helpful reports !